We believe we have a responsibility to make the area in which we live and work better and we have dedicated ourselves to this goal from the beginning. Since Taylor International was founded in 1959, we have had an active role in the community and each year we try to build on these wonderful successes. We have made a long-term commitment to the hospital in which we have contributed over $20,000 each year. Over the course of the last fifty years Taylor moving has donated over $700,000. Taylor Moving wishes to help find a cure for this terrible illness and through our membership in Allied Van Lines, we raise over $50,000 every year for breast cancer research. 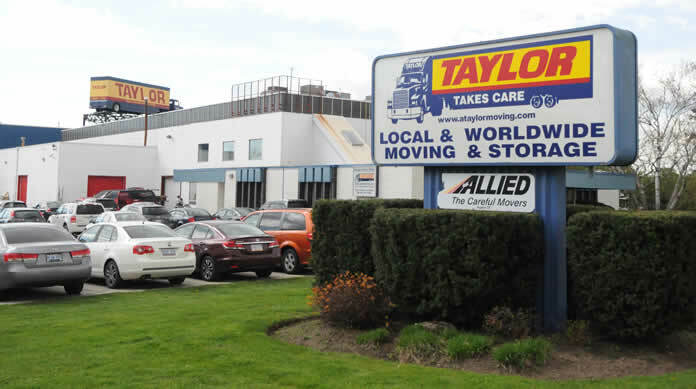 Taylor Moving has signed on to provide $50,000 dollars over the next ten years for an athletic centre that will prove a benefit, not only for the college, but for the community as a whole. Allen Taylor, the founder of the company, was past-president and gave a start-up contribution of $25,000 for this important cultural site. We continue to support the Burlington Arts Centre to this day. Allen Taylor was a member of the original group who built this local community centre. Taylor Moving will provide an additional $50,000 for the YMCA's building fund. Each year Taylor Moving gives $10,000 to local groups and initiatives including events, sports teams and local charities. Allen Taylor played a central role in the re-founding of the group that sets the countrywide standards for the industry for the protection of consumers. Rick Taylor currently sits on the Board of the Canadian Association of Movers. Environmentally conscious, Allied has partnered with Tree Canada to plant 15,000 trees over the next three years to help offset emissions as a result of our industry.